Have more FUN writing.That’s it, that’s all, that’s what we usually forget to do first. It’s so important, but we so often forget it. 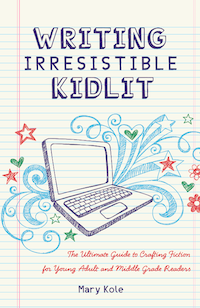 Working on my book, Writing Irresistible Kidlit, was one of the biggest blasts I’ve had in my life. But I would still stress about it. Second-guess myself. Wonder whose bright idea it was to write a damn book in the first place. (Nobody out there to blame but us chickens!) Sure, even if you’re pursuing your life’s passion, you can easily get stressed, especially when questions of whether it’s good enough or what to do with it or whether it’ll get published start to creep in. We all work this way, I think. I haven’t met a single creative person who didn’t suffer somewhat while pursuing their craft. (Not even my chef husband is immune from creative angst. My suggestion is usually to top the dish in question with caviar and give it to me!) But I was powerfully reminded of this idea when reading an excellent client manuscript over the holidays. Without giving too much away, I worked on an alternating-POV adult romantic paranormal fantasy where we sometimes dipped into the paranormal creature’s perspective. It was really good stuff. But I often noticed that the tone seemed to scatter. You know how different genres have different conventions? Like there’s a pretty stereotypical voice you can expect when reading sci-fi vs. contemporary vs. dystopian work. With this particular project, the writer’s voice and tone tended to shapeshift. When she was writing a romantic scene, there were definitely phrases and overtones creeping in that would remind you of a pretty standard romance novel, right down to the heaving bosoms. When she wrote some action or battle scenes, the voice would grow more formal in a way that’s familiar to high fantasy readers. In the midst of it, there was a certain spark and energy that was uniquely to hers. But all the changes made for a bigger picture that lacked cohesion. With any voice notes, I try to be thorough because voice is such a hot button issue that can be so nebulous for so many. I thought about it for a while. Why did Monster POV work so well? Then the obvious answer struck me. It’s fun to write in monster POV. Most days, I’ve had ENOUGH of stressed-out-human-lady POV. What I wouldn’t give to walk around as a monster through the foggy shadows of some menacing countryside! Stomp stomp, crunch crunch, ROOOOOOAAR! So I wrote her a prescription for more fun when writing. (Among many other things, of course.) Writing can be tedious. Revision can be on par with a root canal. Putting a query letter together gives people the actual fits. I’ve seen people cry while pitching. And not, like, just once, either. It’s so easy to get caught up. What’s the fun part of your WIP? What’s fun about it? Is it a particular character you love? A head you like getting into? A setting that calls to you? The tempo of an action sequence? Whatever it is, do more of that. Every writer is different, and every story offers unique opportunities to have a gas. I’ve always, always said that if something is tedious for you to write, think of the poor sap who has to read it. Your passion for every passage is obvious on the page. If you’re hating every minute, odds are nobody’s having any fun. Figure out what makes you relish your writing time, and do more of what you love in your current project. Do more of what you love in your non-writing life, too, while you’re at it! Happy 2016! Hi Mary, and Happy New Year to you too! Thanks for this advice; it’s something that I realised for myself just a few weeks ago when I noticed that writing had become a ‘chore’ and wasn’t fun any more. I’d moved away from that spontaneous writing which put a smile on my face to a ‘plan everything to within an inch of its life’ that had been suggested to me, and sitting at my desk had developed into uncomprehending torture. So I went back to ‘just have fun’ – and now I am! This post is particularly timely, as with the New Year and my overwhelming desire to plan out my resolutions, it’s important to remember that my writing resolution is to plan less and enjoy more, because that’s what works for me. Thank you so much. This is just what I needed today, to face my WIP. 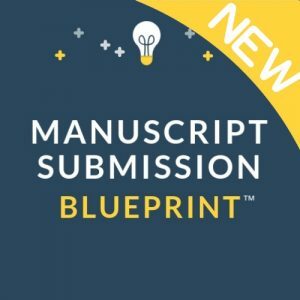 I suffered a lot from the writing blues last year. I had to take a few months off. I, too, want to change my attitude this year. Happy New Year!